When using electronic cigarettes, or e-cigs, you will need to go through the ups and downs of learning and understanding the variable voltage or wattage of the e-cigs. This is important in order to get the right flavour and vapour. If vaping or using an e-cig is new to you, getting an e-cig and using it right away may cause you more troubles than you expected. What you need to do is to get a starter kit and learn how to use the e-cig properly, before you buy any expensive variable voltage/variable wattage e-cigs. Most of the starter kits operate at 3.7 volts. As you vape from time to time, you will find yourself seeking new flavours. Combining two flavours may satisfy your cravings and give you a hit in the throat that you want. But you may also want to switch from the ordinary 3.7 volts to a higher voltage/wattage device. Your experience of vaping changes from time to time, especially if you want to try new flavours. It actually consists of different variables, including the varying temperature and flavours, and the amount of vapour. The device is electronic, and wattage determines the heat of the device. The heat or the temperature can be changed depending on your preference. You can control the wattage of your e-cig device by simply changing its resistance or its voltage. By adjusting the wattage of your device, you can maximize it and control it to get the taste that you want. Although there are different flavours and brands of e-juice or e-liquid for your device, not all of them taste the same. Some taste better when the voltage is high, while some taste bad when heated in high voltage. You can adjust the voltage of your e-cig device to suit the taste and flavour intensity, including the vapour production and the throat hit. You can set your e-cigs’ power outage from 3.0 to 3.7 volts if you are using a device with a 1.8-ohm cartomizer. If the cartomizer of your device is 2.4 ohms, you can set its voltage at 4.0 to 4.5 volts. This kind of e-cig is naturally expensive, but it offers several benefits. 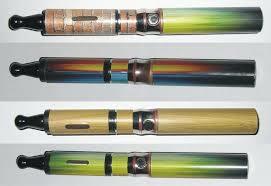 One excellent reason why many opt to use this type of e-cig is because it has the capability to produce more vapours. The vapour production, as well as the throat hit, of this device is much more intense when compared to the devices that are not variable voltage/wattage. Using variable voltage/wattage e-cig is more than just pressing its button and vaping the way you want. You have to understand its system to get the right taste and throat hit you want.